If you’ve never had your carpets professionally cleaned before it could be intimidating. You may not know what to expect when you’re expecting a carpet cleaner to appear at your home. Some customers may not have ever had carpet cleaning and some may have had a very bad experience with other carpet cleaners. Well, with Beyer Carpet Cleaning they tend to ease the experience for all their customers. 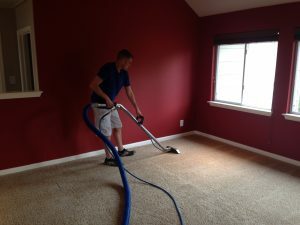 Beyer Carpet Cleaning is highly experienced and offers a trustworthy cleaning opportunity to all their cliental. From the moment you call you customers are greeted by a friendly operator who can help with any questions, offer great quotes, and can book your carpet cleaning appointment. Once your appointment is booked you can be at eased to know that their technicians will arrive within their 2 hour window. Beyer offers a 2 hour window because they are a service based company and cannot know for sure how long an appointment will take to complete or if there will be any unpredictable circumstances. So by having a 2 hour window it leaves the customer with less stress as to when the technician will show. Beyer Carpet Cleaning is accountable and will let their customers know when they are on their way. When their technician arrives they will walk through the home and review the areas that need special attention. They will go over the process and let you know if there are any additional services that may be needed. Their technicians will not push services that you do not need and if you do need them they will let you know but if you refuse they will not push for you to purchase them. Beyer Carpet Cleaning is a hassle free, no pressure sales environment. Once the technician is done with the carpet cleaning they will then collect payment but only if you the customer is satisfied. 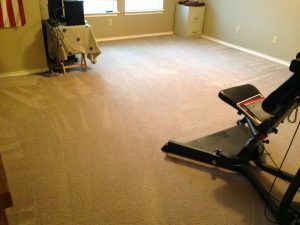 The best part about Beyer Carpet Cleaning is that their prices are fair and reasonable. Their specials can fit most budgets and home sizes. They do not change their price once they arrive and their are no hidden fees or room size limitations. Beyer Carpet Cleaning makes your first time easy and care free. They offer awesome customer service and will not let you down. They have trustworthy employees and quality services from carpet cleaning to upholstery cleaning to tile and grout cleaning. They can do it all at a great low rate with great professionalism so call Beyer Carpet Cleaning for all your cleaning needs.